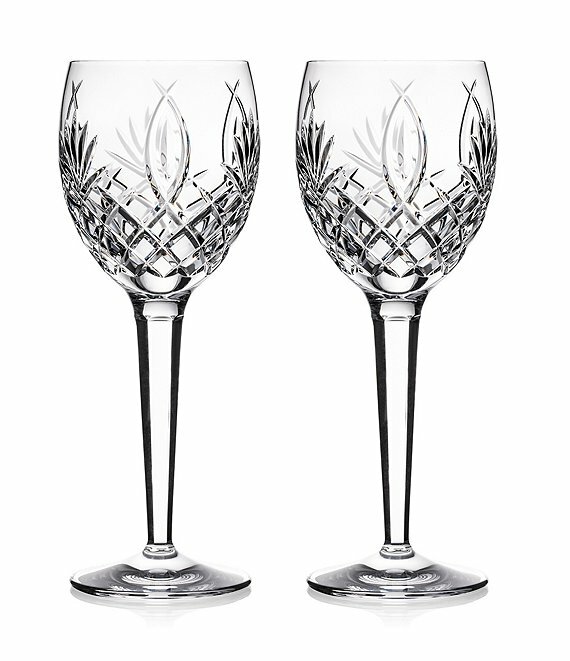 Inspired by traditional Irish architecture, the Granville Goblet Set of 2 is designed to accentuate the color and aroma of fine reds, whites or sparkling wines. approx. 8.5" x 3.2" x 3.2"